Know a Paw Patrol fan? Head over to Argos and you can grab yourself a bargain on one of the latest must-have toys, the PAW Patrol Mission Air Patroller! It's on offer with a 20% discount, down to just £35.99 from an original price of £44.99, and it's packed with fun features that kids are going to love! This new version of the Air Patroller is featured in the Paw Patrol Special: Mission Paw, where the pups end up in London on a secret mission to save the royal crown. 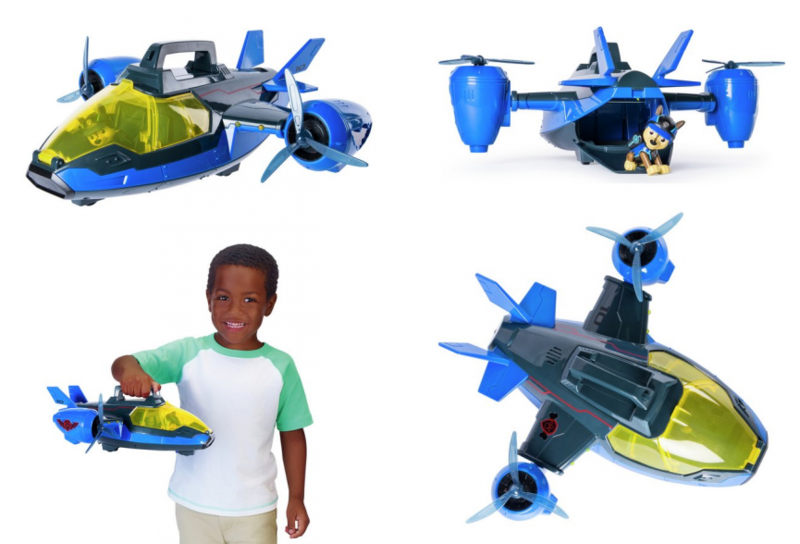 It's a 2-in-1 toy that can transform from a plane to a helicopter so kids can fly off to the rescue, it has lights and sounds, an opening cockpit and cargo bay, rotation propellers and working wheels, plus you get a Chase Mission figure included to start your adventure. As well as this fab bargain there are lots of other Argos Exclusive Paw Patrol toys* that you won't find them anywhere else. We're loving these Paw Patrol Mash-ems*that are less than half price, the Paw Patrol Learning Tab* on offer at just £15.99, and we know plenty of kids who would love this giant Jumbo Marshall Plush*! You can reserve and collect from Argos stores with no charge, or home delivery costs from £3.95. I don't think the boys have got this one !!!!! !